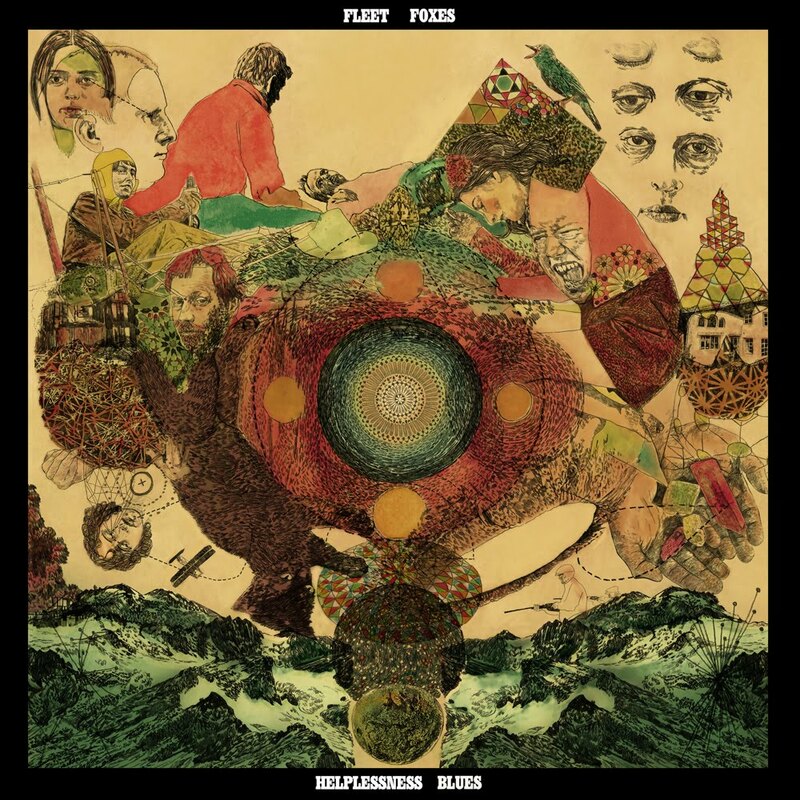 Fleet Foxes clearly know their sweet spot. Rather than pulling a 180 or switching things up with any degree of significance, the Seattle sextet nestled themselves deep into their rich, velvety folk-rock comfort zone for the recording of their second LP, Helplessness Blues. This approach has yielded a consistent, impeccable record that is permeated with that Fleet Foxy brand of string- driven folk harmony that became so wonderfully apparent with the Sun Giant EP and their self titled debut LP (both released in 2008). Some critics may take jabs at Helplessness Blues for not breaking "new" ground, but there is something positive and confident about knowing what works and sticking to a beautifully characteristic sound while making only minor derivations. The new aspects of the sophomore record include the minor introduction of new instrumental elements on tracks like "Bedouin Dress" and "The Shrine / An Argument" and overall lyrical themes of hesitation, uncertainty, the passing of time, and even existentialism (that weren't as present, personal, or laid on quite as thick in Fleet Foxes' past recordings). Nowhere is lead singer and songwriter Robin Pecknold's existential awareness more apparent than in the record's namesake centerpiece "Helplessness Blues." The track opens with a simple guitar rhythm and some of Pecknold's finest lyrics to date: "I was raised up believin' I was somehow unique / Like a snowflake, distinct among snowflakes, unique in each way you can see / And now after some thinkin' I'd say I'd rather be / A functioning cog in some great machinery servin' something beyond me / But I don't, I don't know what that will be / I'll get back to you someday soon, you will see." With this grand vocal start, the offering builds with the layered harmonies and acoustic arrangements that have become so characteristic to Fleet Foxes. Just as "Helplessness Blues" is about to peak, the song shifts to a second half that is a harmony-driven fantasy, imagining a life of labor in a countryside orchard. The visual imagery conjured by Pecknold's voice and the band's music is undeniably powerful stuff. Helplessness Blues is peppered with captivating tracks that showcase the gentle folk-rock sensibilities of the band. 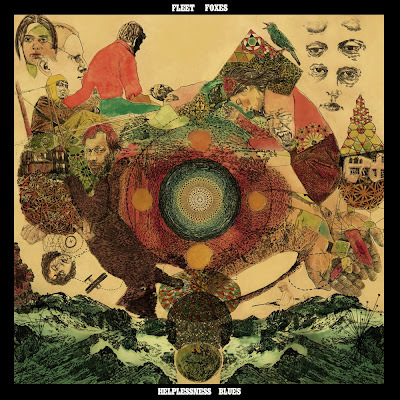 "Lorelai" (a waltz-like, swaying folk ballad) and "Battery Kinzie" (a tune that could easily have been picked up from the debut LP's cutting room floor) fit the Fleet Foxes paradigm like a vintage T; comfortable, classic, reliable, and cool. Where many records end on a low note, an "outro" if you will, Helplessness Blues ends on a peak with "Grown Ocean," a dream allegory that is perhaps the most hopeful song on the record. Pecknold's echoed voice resounds, "In that dream there's no darkness a-looming." His lead vocal is peacefully supported and elevated by backing "oh-ohhhhs," a flute flutter that would make Sufjan Stevens swoon, and a slowly evolving composition of guitar strumming acuity. Fleet Foxes have become the unquestioned leaders in the folk-rock revival with the triumph of Helplessness Blues. From the stripped down brilliance of the record's lead track "Montezuma" to the uplifting closer "Grown Ocean," these hirsute folk-rock troubadours have avoided the trappings of reinvention for reinvention's sake, and for that, we can't thank them enough. Helplessness Blues will be released on 5/3/11. Pre-order it over at Sub Pop.